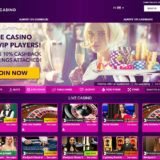 Dana is a live dealer at Genting live casino. She works on both the Genting and Crockford private tables and was kind enough to spend a few minutes completing one of my interviews. Latvian, Russian, English, Lithuanian and Spanish. What did you study at school / university? Currently studying at the University of Latvia “international economic relations”. Have you had any previous jobs, if so what were they? 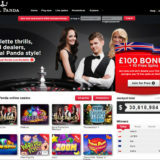 What attracted you to become an online live dealer? New experience and positive feedback from my friends who work here. Had you had any previous experience of either presenting or dealing live table games? What skills do you need for the role of a live dealer? How long have you been a live dealer? What sort of career progression is available to you? Evolution Gaming is offering career growth, there are a lot of options so you need to pick what is best for you. Can you describe a typical day for you at work? Checking the screen to see which table you have next and then getting to your table to do your job. I also have some break time where I can catch up with my friends. What other jobs need doing when you’re not dealing at the tables? Preparing yourself by doing your hair and make-up. How long is a typical shift? How long do you deal at the same table? Do you only deal on the Genting tables? Do you deal on the Crockfords tables? What training are you given? 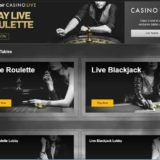 Blackjack, Baccarat, Three Card Poker, Baccarat Squeeze and Roulette. How long does the training take and do you have to pass tests before you are allowed to deal. It depends on the game, it can be a long process to train and do the tests. Do you have to be trained in all the games before you are allowed to deal for real? Did you need any special training for the Genting tables? No, I knew all games before. Only about game leading specifics and communication with clients. Is your on table performance measured? If so, in what way? There are responsible people, who are watching us at any moment and on any table. How important is the chat facility? They are really important, because sometimes there is some bugs with internet connection and clients can have some problems, and they can tell you about them in chat. Do you have pre-prepared questions to get players talking? What subjects are you not allowed to talk about? Was there anything that surprised you about being a live dealer? What info do you have about the player? Do you know how much people are betting? 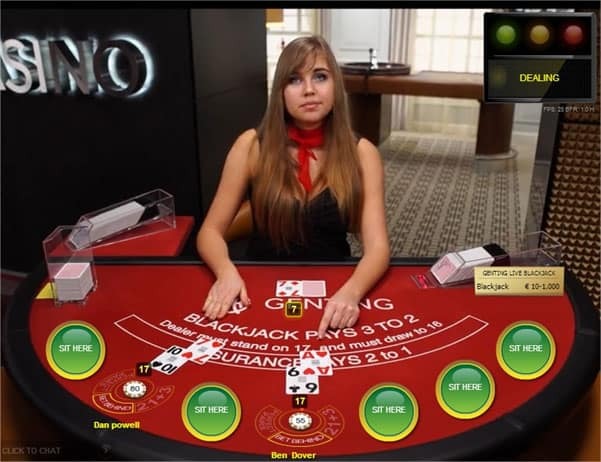 Do you play casino games yourself? What is your favourite game? and why? I really enjoy presenting the roulette game. What’s the best thing about working for Genting / Evolution? That we don’t need to ask unnecessary questions to clients, there is minimum comments during game time and players talk to you if they want to. What is the funniest thing that has happened to you at work? They happen almost every day, funny behaviour and funny comments from the player’s …. What do your friends think of your job? What is your favourite holiday destination and why? Having great time with perfect company, any type of traveling really. Do you have any pets, if so what are they and what are their names. I have a dog named Buch. What sorts of music do you like and why? Trance, House, Chill music, Russian. Have you been to any concerts recently? If so what and how was it? To Max Korzh concert some 2 weeks ago and it was really nice. If you could have a super power for a day what would it be and what would you do? I would like to live one day as a male. Do you play or watch sport?